Sheridan, Ark. – The Arkansas Arts Center Children’s Theatre on Tour will perform The Tortoise & the Hare (And Other Turtle Tales) at 8:15 am and 9:45 am on January 30, 2019 at Sheridan Elementary School. 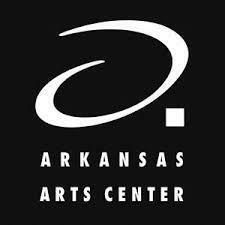 Children’s Theatre on Tour is part of the Statewide ArtsReach Programs at the Arkansas Arts Center, the state’s premier center for visual and performing arts. Recognized by The Drama League as one of the best regional theatre companies in America, the Arkansas Arts Center Children's Theatre is the only professional company in Arkansas that produces children's literary works for the stage. One of Aesop’s most famous fables is about a boastful bunny who learns a very important lesson: “Slow and steady wins the race.” Of course, Aesop lived in ancient Greece, but there are turtle and tortoise stories from many different cultures and traditions—from Africa to the Philippines to Japan. Through music and dance and witty turtle wordplay, this lively roundup of culturally diverse tortoise tales celebrates one thing that every culture holds in common: the fun of storytelling! The Tortoise & the Hare (And Other Turtle Tales) is written and directed by Keith Smith. Children’s Theatre on Tour is traveling to venues around the state throughout the 2018-2019 school season. The Tortoise & the Hare (And Other Turtle Tales) will be performed January 15 – February 10, 2019. The Emperor’s New Clothes will tour April 2 – May 12, 2019. The 2018-2019 season is sponsored by The Bemis Company Foundation, Diane Suitt Gilleland and U.S. Bank Foundation with additional support by The Shubert Foundation. For more information about this event, contact: Lindsey Bohler, SES Principal, 870-942-3131 or lindseybohler@sheridanschools.org.